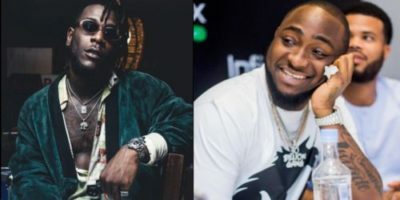 DMW boss; Davido, has had no choice but to acknowledge the legendary status that singer; Burna boy has attained. Burna Boy recently wowed fans with his performance at the ”Burna Boy Live In London” show. The show was a sold out event and a thrilling one as well, as fans sang their hearts out to every song the singer performed; reciting the lyrics word for word. Such was the greatness of both the singer and the show. After the show, fellow singer and friend; Davido, had to post via his IG page to shower accolades on the singer for a wonderful fans and performer chemistry.